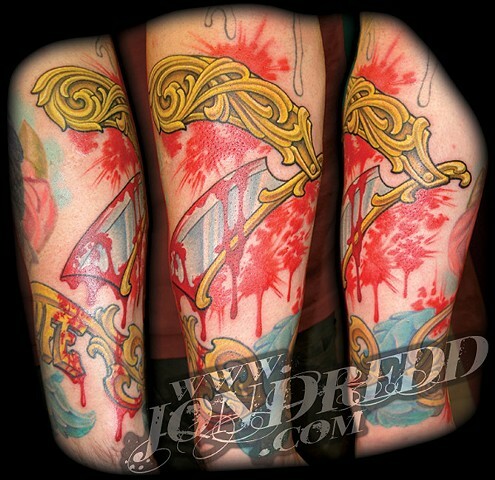 This straight razor tattoo was designed for tattoo artist, Ryan Kaufman. We placed it above a tattoo I had previously done, of a winged locket, and "key of life", so I used similar elements in the razor handle to pull the two pieces together better. I also spilled some blood on to the older tattoo!